4D CT scanning supplements traditional Computed Tomography, which is capable of extremely accurate dimensional and static fit/clearance studies, but can fall short when quality or performance issues are due to the motion of gears or mechanisms, movement of fluids, dispersion of particles, or other microscopic time-varying events. Those challenges need Kinetic Vision’s 4D Imaging+, a proprietary combination of remote-controlled fixtures and custom software that activate your product or component during time-based 3D CT Scanning. Learn more about 4D CT scanning at Wikipedia. Our 4D CT scanning services are regularly used to help engineers understand how fluid is absorbed and distributed through various materials. Absorption and distribution rates can be calculated and studied to help optimize and develop better products and processes for various industries including, but not limited to, Biomedical, Consumer Products, and Oil and Gas. In this example a household cleaning sponge was studied to determine the design parameters which affected the sponge absorption performance. Using 4D CT scans the sponge design was analyzed for total fluid absorption rate, three-dimensional absorption distribution, and specific absorption gradient. 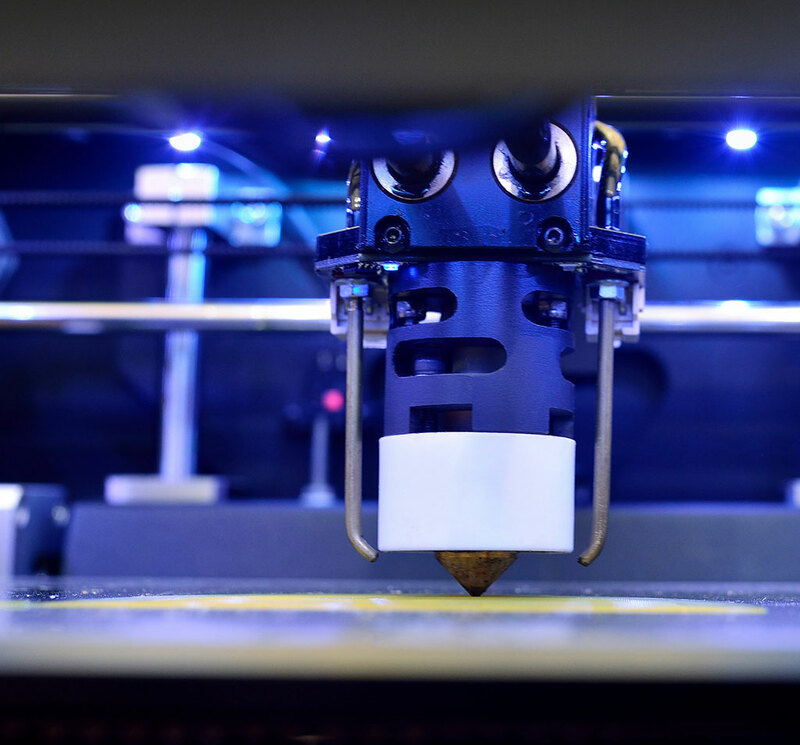 The design of Additive Manufacturing products such as 3D printers involves the precise movements of a mechatronic system. The print head motion, polymer feed rate, fusing temperature and other parameters must be carefully coordinated by electronic and mechanical systems, but production variances can sometimes result in quality issues that are difficult to troubleshoot. 4D CT scanning is an invaluable troubleshooting tool when used to create x-ray views of moving systems, allowing for close examination of miniature components, belts and mechanisms that are impossible to visualize externally. In the video below a 3D printer is studied to verify the correct function and timing of multiple components and sub-systems as part of a production quality troubleshooting analysis. Results of the investigation included multiple design recommendations for improving product quality and manufacturing yields. 2D Dynamic Scanning is a subset of 4D CT scanning except the x-ray images are not processed to create three-dimensional geometry, but the images are still captured over time. This method is useful for situations where creation of 3D geometric data isn't necessary to meet the project objectives, such as troubleshooting and Failure Analysis. In this short video an industrial 3D printer was scanned as part of a manufacturing yield quality analysis where component timing issues were studied.